Did you felt odd when you were unable to view Netflix outside US? You may have noticed that it’s only in the queen’s jurisdiction where you can watch iPlayer! You must be thinking that why this when internet is global network and one can watch anything from any place they want! This practice is called Geo-blocking and has been experienced by many in the recent past, not only you. Geo-blocking is a system in which the access to internet is limited on the basis of the geographical location. This is because whenever you are using internet, your IP address is being tracked. Through the IP address it becomes easier for the website to track down the nation from where you are surfing internet. Different sites have employed this to make sure that everything does not become global easily. Like the Hollywood film distributors want to make sure that a viewer in Greece can view the movie only after it has been released in that country, not when it is released in US. More and more internet websites are using geo-blocking so that they can manage the globe in separate chunks as they wish. Thus, for many it has become necessary that they by-pass this process and do not let the website understand the nation from where they are actually serving the internet! Geo-dodging, the term used for bypassing geo-blocking, is a contested issue nowadays. Even the laws of all nations are found to be silent about it. 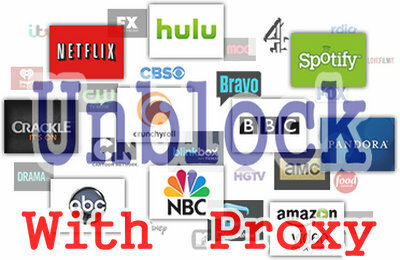 There are various ways by which one can do it, however the most common and easier one is by using best proxy to bypass geo block. As mentioned earlier, sites like Netflix, ABC iView, Hulu and others locate your location through the IP address. It’s your IP address that let the websites know that you are from a geo-restricted location. Thus, they lock the service to from your IP address and in turn from you. Now, if you can have a proxy server, it would be simply easy to mask your identity. Once you have changed the location from where you are surfing, Netflix would not be able to get whether you are from US or Afghanistan! There are some other ways too, like using a VPN server for Bypassing Netflix, but that would reduce the surfing speed for the sophisticated decryption and you would not enjoy the whole thing. Thus, it’s better to go for proxy servers and dodge the websites easily. Thus, you may either mask the IP address or use the proxy server to act as the middle man, who would be bringing you the restricted content. The Web Police would find that the restricted content in your locality is watched by the proxy server and not by your IP. Hence, you may continue watching iPlayer sitting right at Texas! You should use such proxy servers which would be helpful in bypassing high end websites. 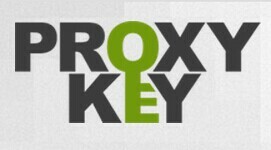 The most easy and best are proxy servers usually offer by proxy service.